About TheSmartLocal - Meet our Team! TheSmartLocal is an independent media publisher that locals trust for hyper-local information on what to do in and out of their country. We share this through 4 platforms - our website, YouTube channel, Facebook page and Instagram. Our website is one part editorial based and one part community based where members can upload their own reviews and have their say about everything Singapore. Today, TheSmartLocal reaches over 3 million Singaporeans each month. Businesses looking to advertise can check out our advertising services provided. January, 2014 - Our YouTube channel, TheSmartLocal TV is started. February, 2015 - TheSmartLocal expands to Australia. December, 2015 - TheSmartLocal Facebook hits a record 10 million reach a week. July, 2018 - Alpha launch of InsightsRN, our data analytics arm. November, 2018 - We pick up Media Brand of the Year at the Mumbrella Asia Awards, beating companies like VICE, CBNC and SCMP. TheSmartLocal was founded by Bryan Choo, an entrepreneur with a passion for travel, food, writing and film making. It was may seem like a mixed bag of skills, but fortunately he was able to apply all these into the creation of this portal. He enjoyed using sites like TripAdvisor but found out the reviews were all written by foreigners and thus misrepresentative of the true local experience. He felt it was the locals who knew their country the best, but there was no portal that provided a true local voice. Hence TheSmartLocal was created, to build a hyper-local resource from the inside-out that locals and foreigners could use. 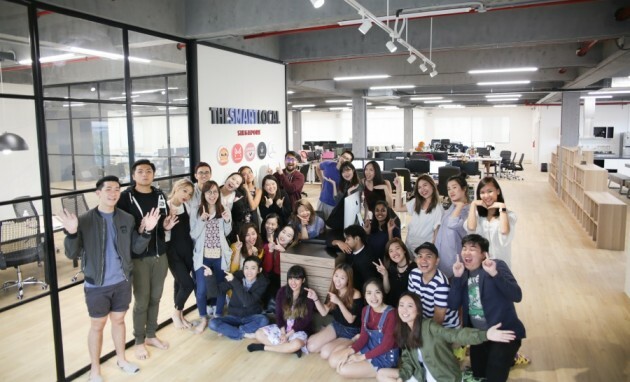 TheSmartLocal has since grown into one of the most influential online media publishers in Singapore. We were fortunate to be joined by some very young and talented individuals, who have helped us get to where we are today. techinasia - "Be a Smarter Local With TheSmartLocal.com"
yahoo - "12 Startups in Asia That Caught Our Eye"
e27 - "TheSmartLocal offers quality reviews on restaurants, tourist spots and shopping establishments"
tnooz - "TheSmartLocal aims to eliminate fake reviews and adopts blog style for quality reviews"
webintravel - "The Smart Local - using local communities to build trusted review sites across Asia"
theonlinecitizen - "The fast growing local review site"
If you would like to get in touch with us, you can contact us here.